Experience the 9 cities +1 the way you like! 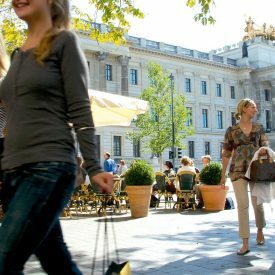 By foot, bicycle or even by bus – Braunschweig and its surrounding region offer a multitude of possibilities to arrange excursion programs. The excursions are composed for groups individual. Sightseeing possibilities, fees and admissions are calculated according to prior agreement. Discount for children can be allowed upon consultation. Tour guides in the Celle Region and the South Heath nature reserve. Unique heathland and tales around moorland sheeps, bees, land and people. 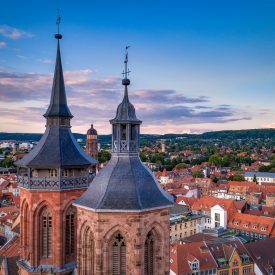 For getting to know the sights and countryside of the Harz Mountains we recommend one of our experienced escorts for your coach tour. We will be happy to assist with planning the route. 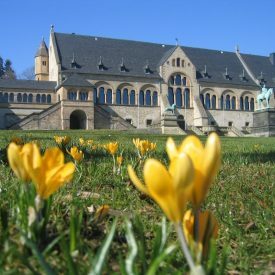 The region of Weserbergland with its numerous sights can be found to the west of Göttingen. On this outing you can choose to visit the town Hann. Münden, which is located on the confluence of three rivers, the monastery Kloster Bursfelde and the Fürstenberg porcelain manufactory. Alternatively, you can relax on a trip down the river Weser! 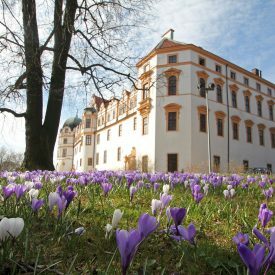 An excursion through the historical landscape of the Eichsfeld region is a perfect combination of culture and nature. 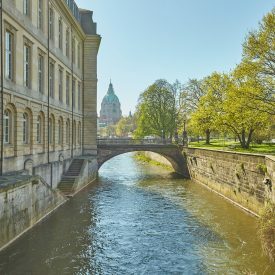 Explore the European Bread Museum and the Wilhelm-Busch Mill in Ebergötzen, the lake Seeburger See, the half-timber houses in Duderstadt or the Grenzlandmuseum Teistungen, chronicling the history of the German-German border. We would be glad to arrange tour guides for Bus,Cycling and hiking tours, through the Weser Mountains Region. 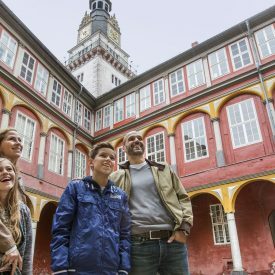 See the lovely landscapes and the rich cultural gems of the Weser Mountains Region with the knowledgeable support of a day guide. We can make individual offers, as well. The costs are for the day guide only. Assistance in arrangements for a bus, etc. – are offered upon request. 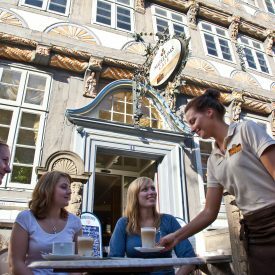 Thematic offers: castles, Weserrenaissance, churches, legends and fairy tales. * These assistants are not special qualified tour guides. • Extra charge for service between 10.00 p.m. and 6.00 a.m. (22.00-6.00 h). We take a surcharge per hour like the additional hour fee as mentioned. • Surcharge for services from / to the airport in Hannover Langenhagen: € 15,- (to pay in a lump sum). That applies similarly in case of disadvantageous place of departure / arrival too. • The above prices are valid as long as the stated service-times are not exceeded. All additional costs like for example train tickets, meals, parking fees, accommodation etc. have to be paid by the customer. Depending on the size of order a handling fee will be charged. Please ask for foreign languages! 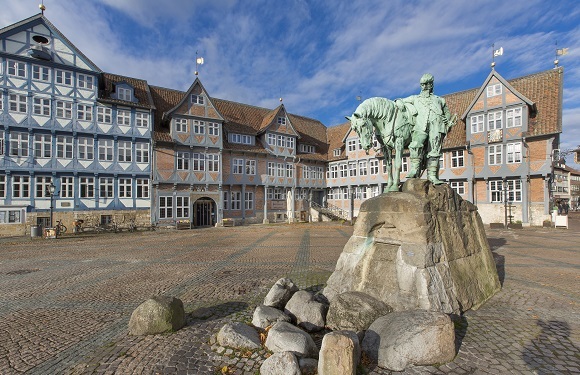 Whether you prefer a tour through the Harz mountains, the monastery route, the route along the river Leine or things to know about castles and palaces – let us show you the outstanding testimonies of history in fascinating countryside around Hildesheim by a competent tour guide. Foreign languages ​​and prices on request. 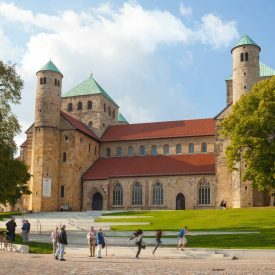 Encounter the unique UNESCO world cultural heritage in the Hildesheim region: In Hildesheim, visit St. Michael‘s Church and see Bishop Bernward‘s bronze works. Then take a trip to Alfeld to the Fagus plant, the first industrial building of modernity. We would be gald to help with further information for example about exciting excursions in the romantic landscape of the Lüneburg heath. 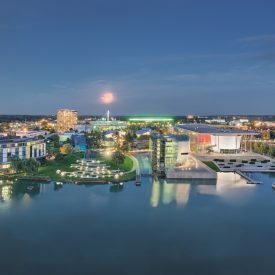 We would be glad to book guides for your Programme in Wolfenbüttel and excursions for example to the Harz Mountains or the Autostadt in Wolfsburg.